Michael Heppner, 82, recently paid a visit to Shanghai, the Chinese city that sheltered his grandma and uncle from the Nazi persecution during WWII. The British elder celebrated his 82nd birthday in Shanghai earlier this week and donated to the Shanghai Jewish Refugees Museum nearly 20 pieces of old items cherished by his family. During WWII, Shanghai was one of the few cities in the world to receive large numbers of Jewish refugees. It became home for tens of thousands of Jewish refugees. After the war, some of these refugees returned to Europe, while others settled in the United States, Canada, Australia, New Zealand or South Africa. Heppner’s grandfather and aunt died in the Holocaust, and his parents fled to Britain to escape the disaster. His grandmother Hilde Heppner and uncle Ernest Heppner managed to get two boat tickets to Shanghai and made a temporary home there. They stayed in a Jewish refugee community in Shanghai’s Hongkou District from 1941 to 1945. Ernest Heppner then married Illo, who also came to Shanghai for refuge. After the war, the Heppner family moved to the United States, then to Britain and other places. In the 1990s, the company Heppner worked for started to do business in China. Harboring a strong desire to explore his relatives’ footprints, he seized this opportunity and visited Shanghai several times. Every time he came to Shanghai, he tried to find some clues of his family in Hongkou. But he could hardly find any clue relevant to the description in the memoir. In 2004, Heppner’s uncle died, which made him even more eager to further explore the family history during the war. He also repeatedly told his daughter Gaby Heppner-Logan to never give up searching. In the summer of 2018, Gaby came to Shanghai and got in contact with the Shanghai Jewish Refugees Museum. In March, Heppner visited Shanghai again, accompanied by his daughter. 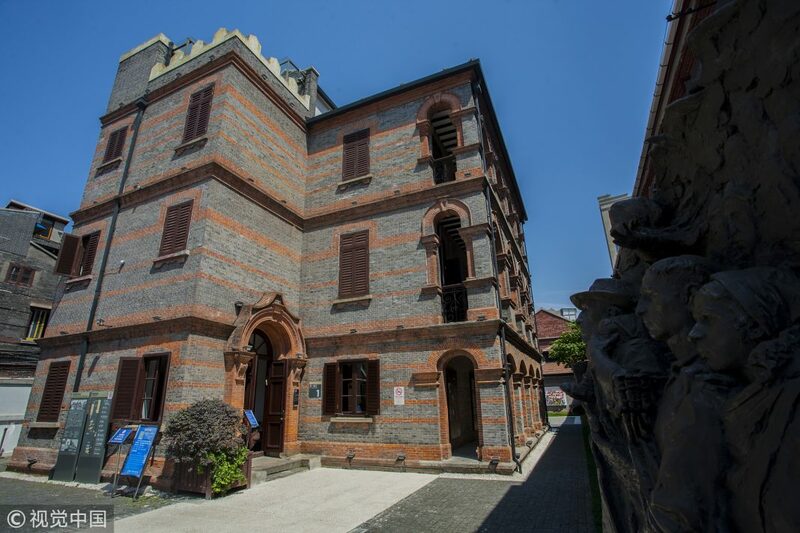 With the help of the museum, Heppner visited his grandmother and uncle’s former residence, located on Changyang Road of Hongkou District. At this site, he learned about the structure of the bedroom and kitchen at that time, which created a vivid picture of his relative’s lives. He also donated nearly 20 family-owned items about the WWII to the museum, including letters between his family members and daily household necessities. “I hope to restore this period of history for future generations to reflect on. I will do my utmost to enrich the exhibition of the refugees museum,” he said. The Shanghai Jewish Refugees Museum is planned to be expanded from the current 900 square meters to 4,000 square meters by 2020. More historic articles and documents collected from WWII witnesses and their descendants will be displayed here. Chen Jian, the curator of the museum, said the museum attracts tens of thousands of global visitors and “root seekers” every year. Chinese people’s righteous actions during the war have left a deep impression on foreign visitors, he said.